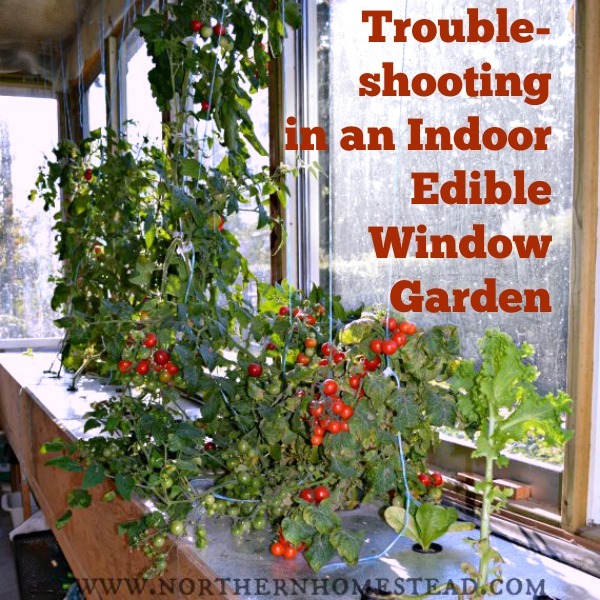 Troubleshooting in an indoor edible window garden is a topic I do not like to write about. Let’s just pretend everything grows without any challenges. In reality it is different though. 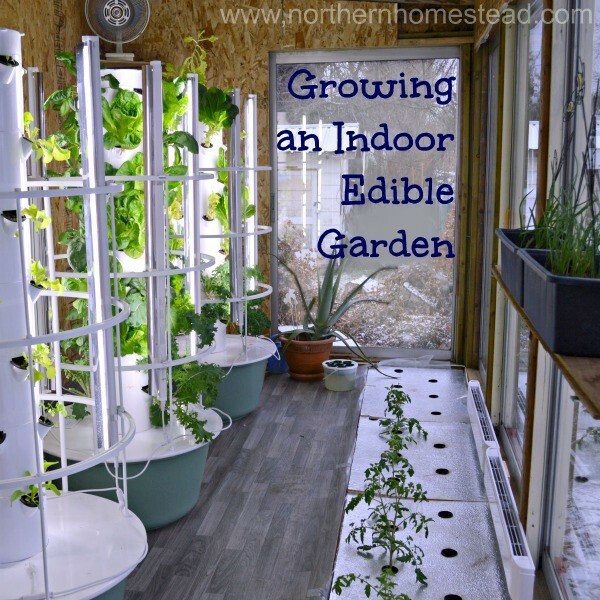 An indoor garden is an denatural environment. 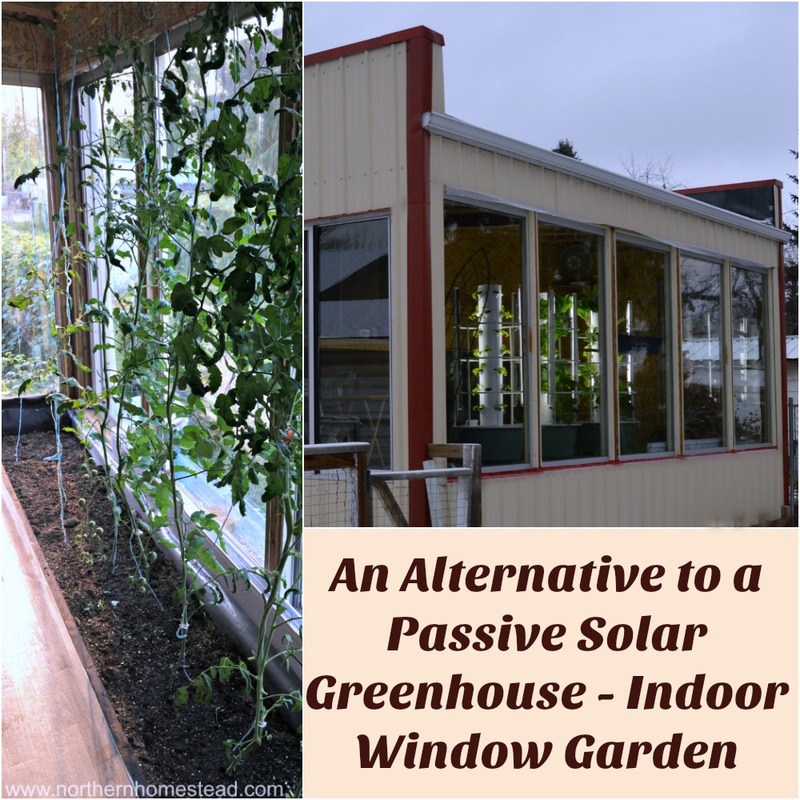 There is less light, no pollinators and no natural air movement. We have addressed most of it in our previous posts. 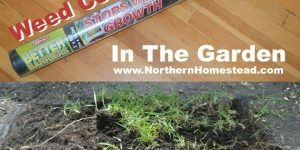 The closer you can come to a natural environment, the less challenging the growing will be. 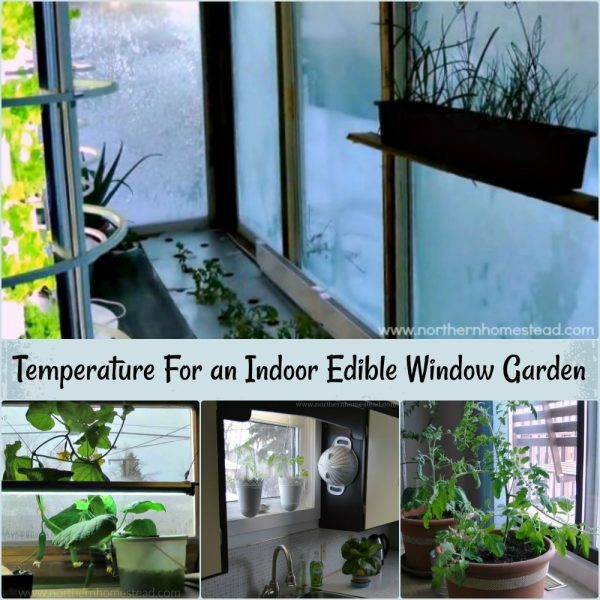 However, since we can’t avoid everything, here are some tips for troubleshooting in an indoor edible window garden. 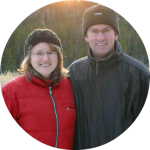 In an indoor environment, pests have no predators and will multiply rather quickly. Once you have them, you might have to learn to live with them. Not all pests like all plants alike. 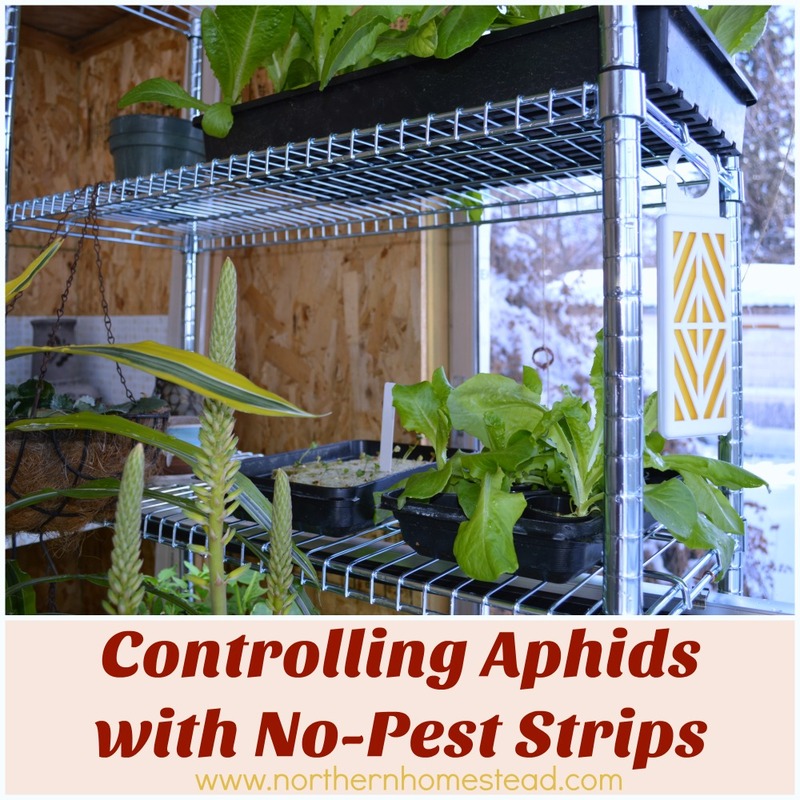 Aphids prefer peppers, some herbs, and plants from the cabbage family. Red spiders like citrus and tropic plants. To get rid of pests without aggressive chemicals is not that easy. 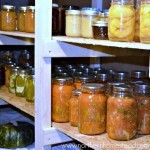 Still, I would rather wash off some pests from the homegrown produce than eat harmful chemicals. Here are a few natural ways to deal with indoor pests on plants. Check plants regularly. 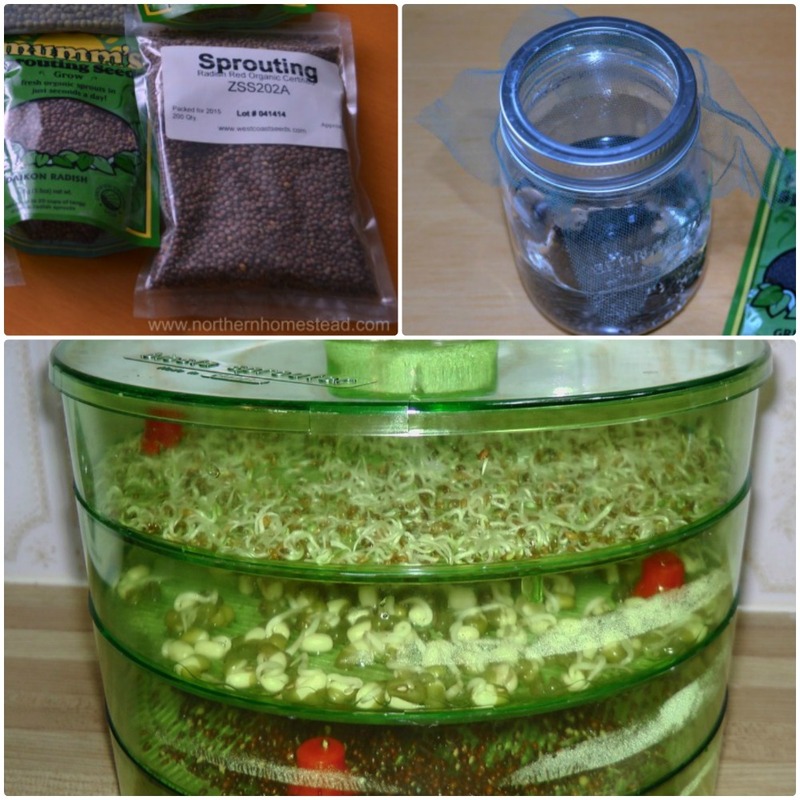 You want to prevent plants from getting insects in first place. 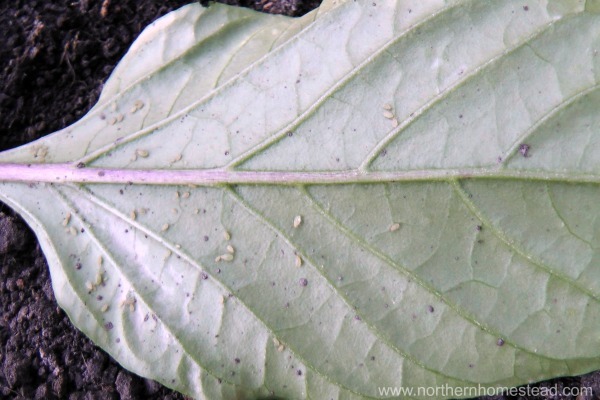 If you find an aphid or a fruit fly or any other pest, try to get rid of it simply by squeezing it with a finger. If there is only one or two and this is done regularly, it often gets rid of them completely. 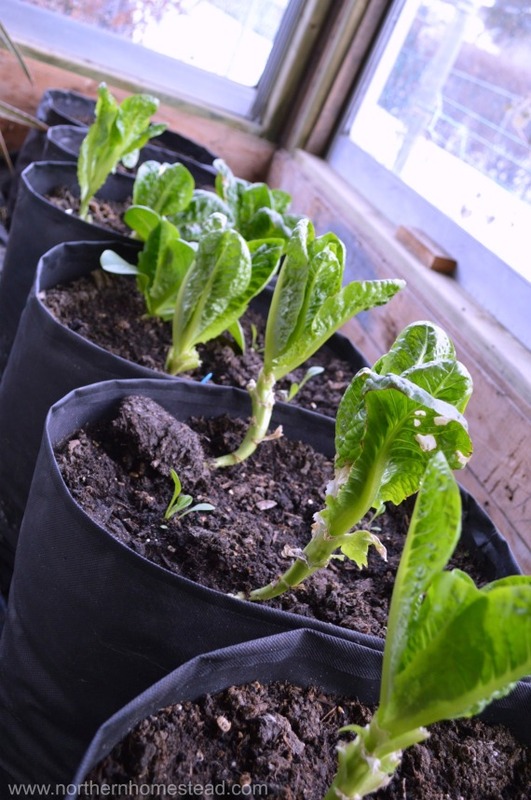 If it is a fast-growing plant like lettuce and it has a pests invasion, replace the plant with a new one. It’s just not worth the trouble it could cause. Wash the invasive plant with water. If possible, also separate the plant from other plants until it’s clean. 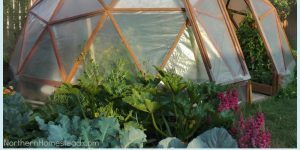 Use safe insecticides like Neem oil, Citrus Oil, Eucalyptus spray, homemade onion and garlic spray, Diatomaceous Earth (food grade) … Note, this would kill all insects, good and bad, so we are cautious when using them outdoors, but since there aren’t any beneficial insects indoors, they all can be used. 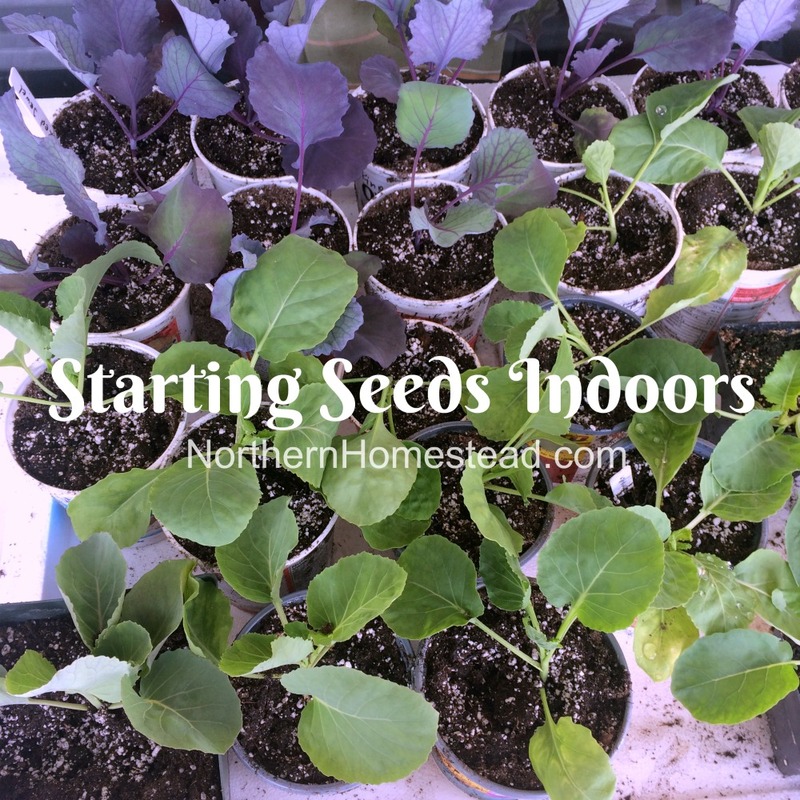 By bringing seedlings or mature plants in, unknowingly you might bring in some diseases or insects into your house as well. We don’t recommend doing that. It usually is not worth the problem you might be getting yourself into. 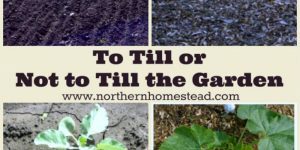 If you absolutely have to bring a plant in, wash it and replace, if possible, all the soil -or at least the top layer of the soil- with new soil. 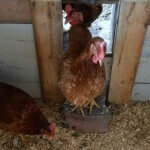 We find that doing this earlier in the fall is better. It seems that insects try to hide in plants when weather gets cooler and they feel winter coming. 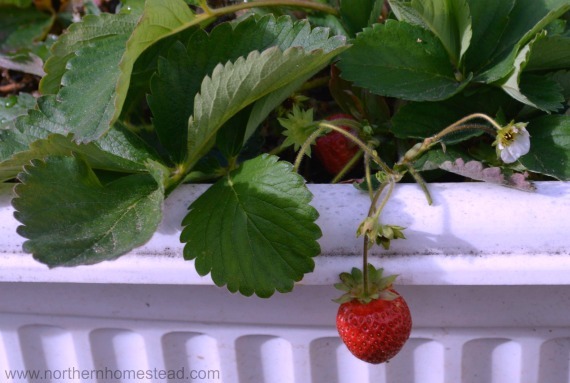 By bringing in the plant before the weather changes, you can avoid to bring in unwanted insects. Keep the plant in a separate room for a few days to see if there are any bugs or diseases that you don’t want to have. 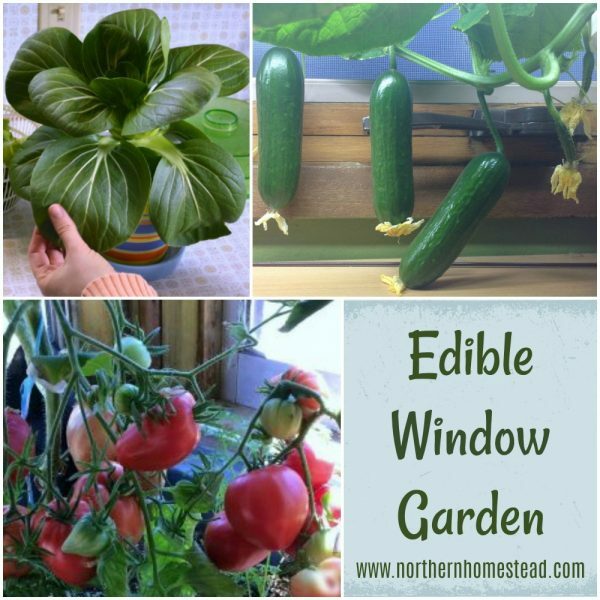 Only when you are sure that all is well should you bring it in to grow next to other edible plants in your indoor edible window garden. 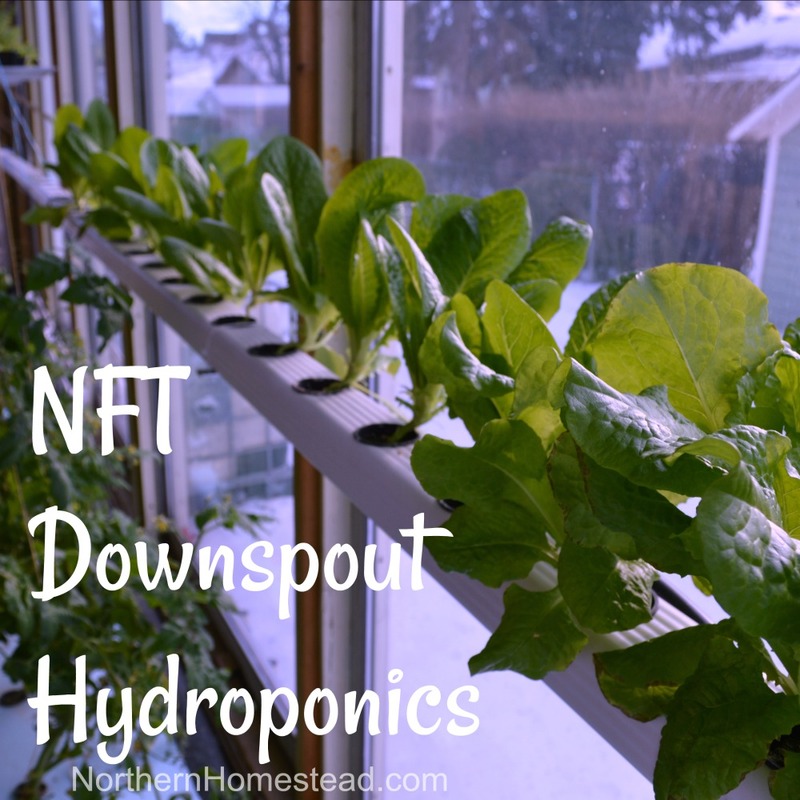 Indoor window gardening is not the same as outdoor gardening. 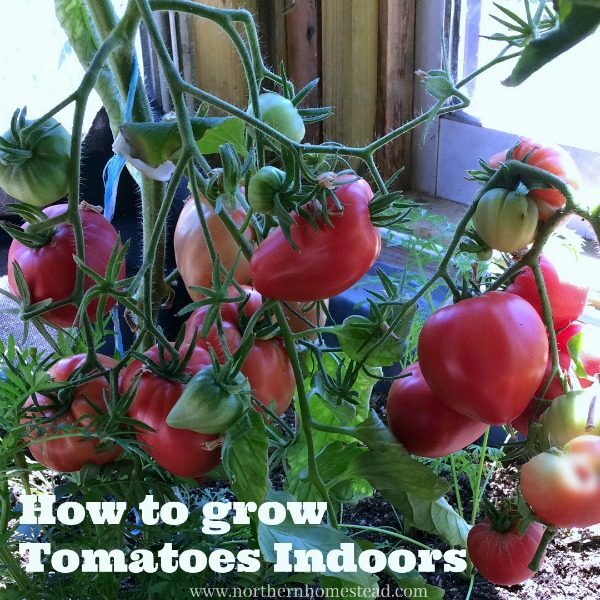 Plants might grow very slowly and become leggy if they do not have enough light and/or the temperature in the room is too cold. 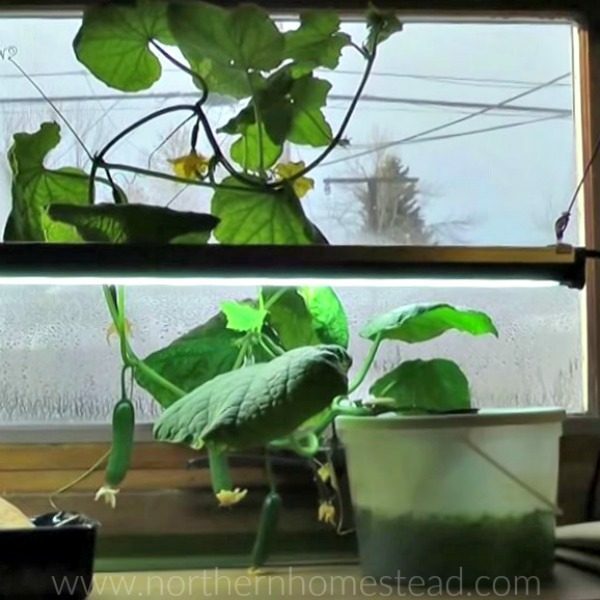 Add grow lights and check the temperature of the room and the soil. 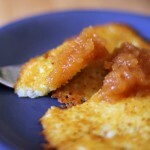 (See our blog post on temperature.) Also make sure to water the plants according to their needs. Do not over water. If a plant does not grow, it will also need much less water. 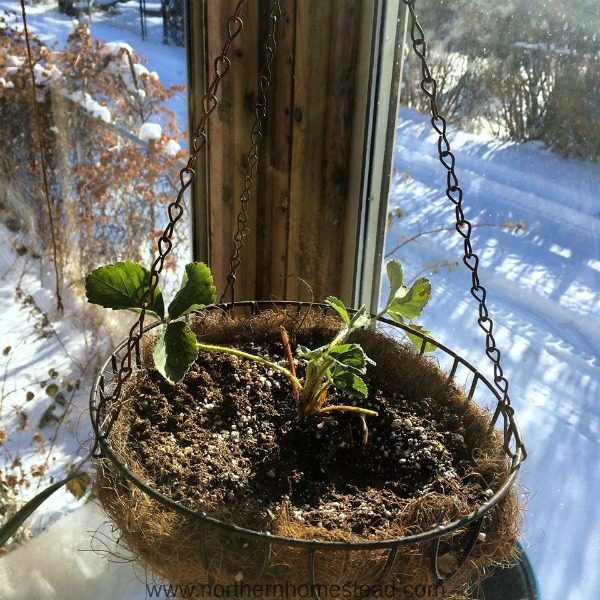 It can happen in the middle of winter that a plant stops growing altogether, but there is not much you could change. Just leave it, because as soon as the days get brighter and warmer, the indoor plant will take off. It is tempting to plant many plants in one pot to get more out of it. Truth is, you usually will get less. Plants can become root bound very quickly and also start to compete for light. 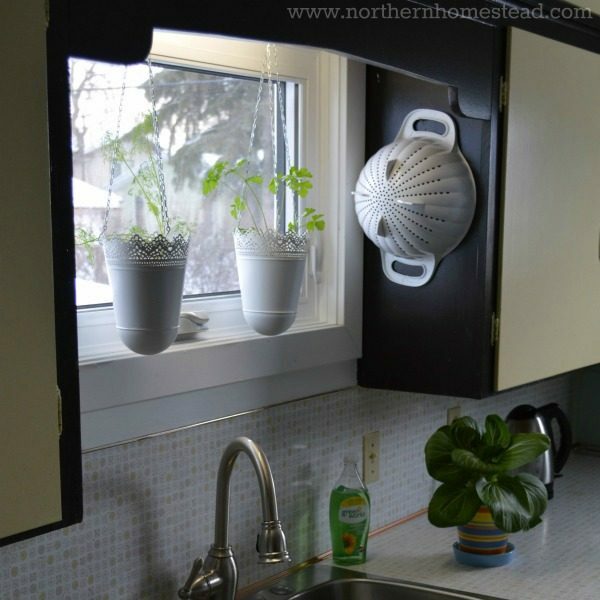 In an indoor window garden you want to keep your plants compact. Prune your plants so that every leaf gets the most light possible. To let a plant just grow wild is not a very good idea outdoors, but indoors it will sure lead to a disaster. Always remove leaves that do not get any light and/or look sickly. 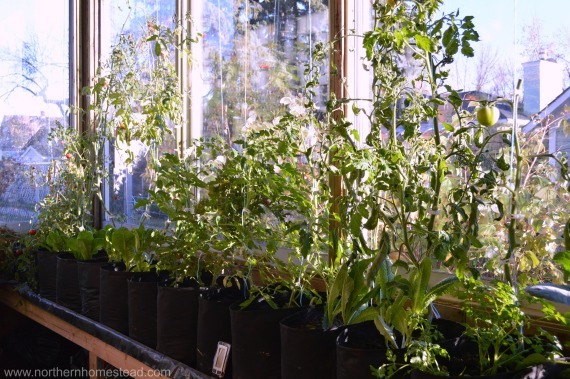 Keeping plant tidy and healthy is important in an indoor garden. In order to bear fruit, most plants need to be pollinated. 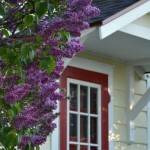 Outdoors, insects and wind does that for you, but indoors you are the pollinator. Plants that are pollinated by wind can just gently be shaken. Tomatoes and peppers are in this category. Plants that are pollinated by bees can be hand pollinated with a soft brush or cotton swab. Cucumbers, squash and melons are in this category. You will need to find the male and the female flower to do that. The female flower always looks like it has already a small fruit. Touch the inside of each flower (male and female) to move the pollen around. 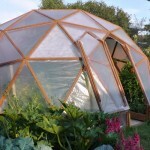 There are greenhouse varieties that do not require pollination. Usually it’s labeled on a seed package if it needs a pollinator. 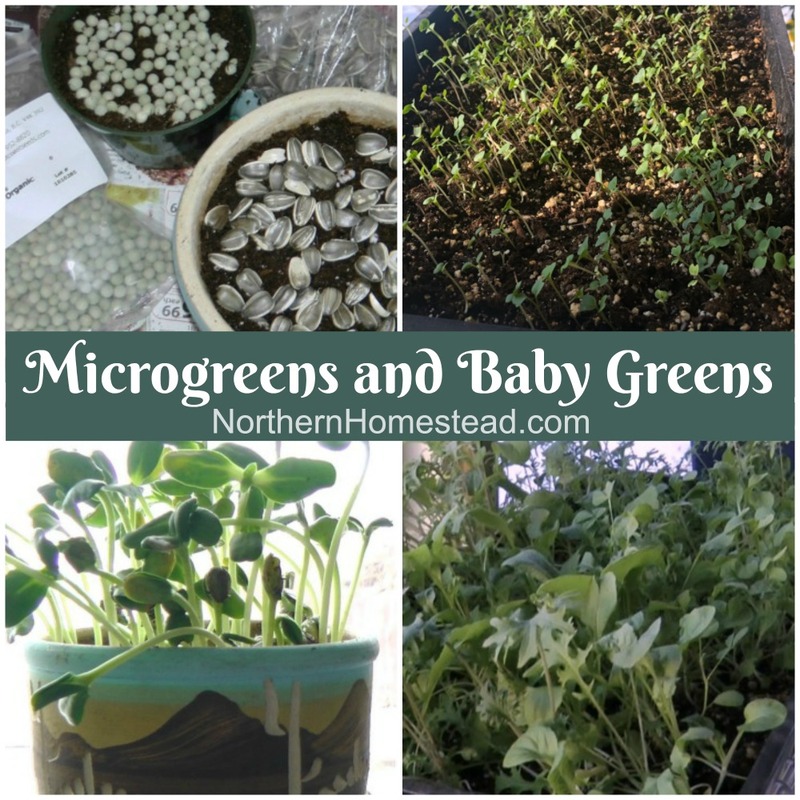 Keeping plants healthy is the key to good growth. 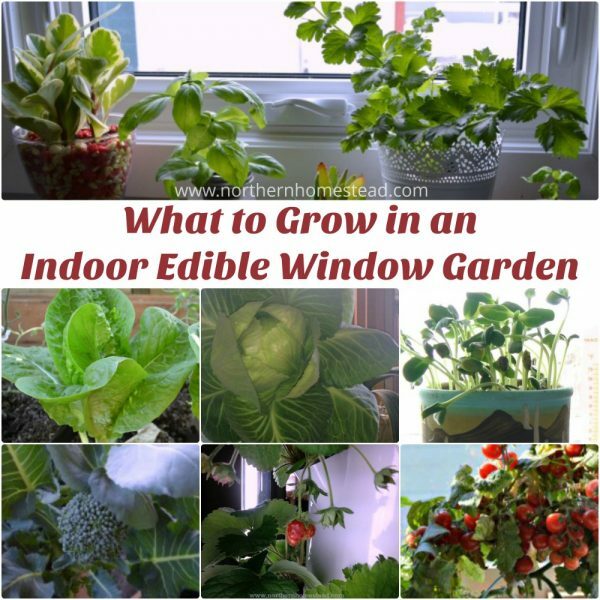 Watch your indoor edible window garden closely to do troubleshooting as soon as you notice the smallest problem. 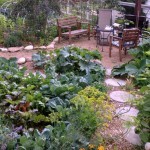 This way it will never escalate for you and you will enjoy a beautiful garden. 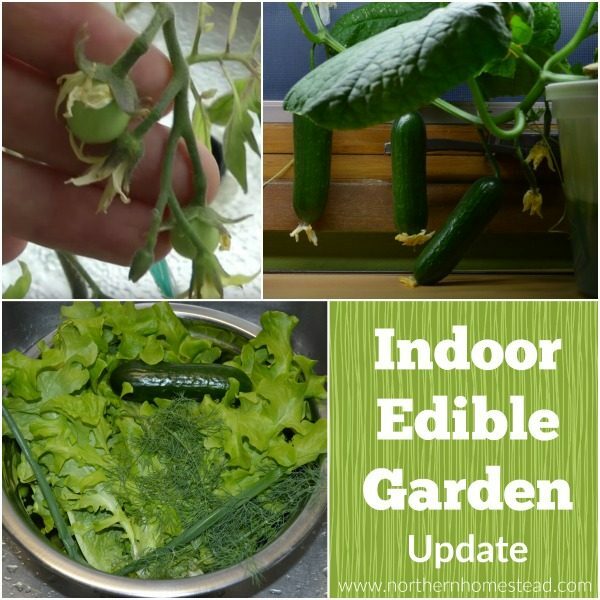 This is the last post in the growing an indoor edible window garden series. 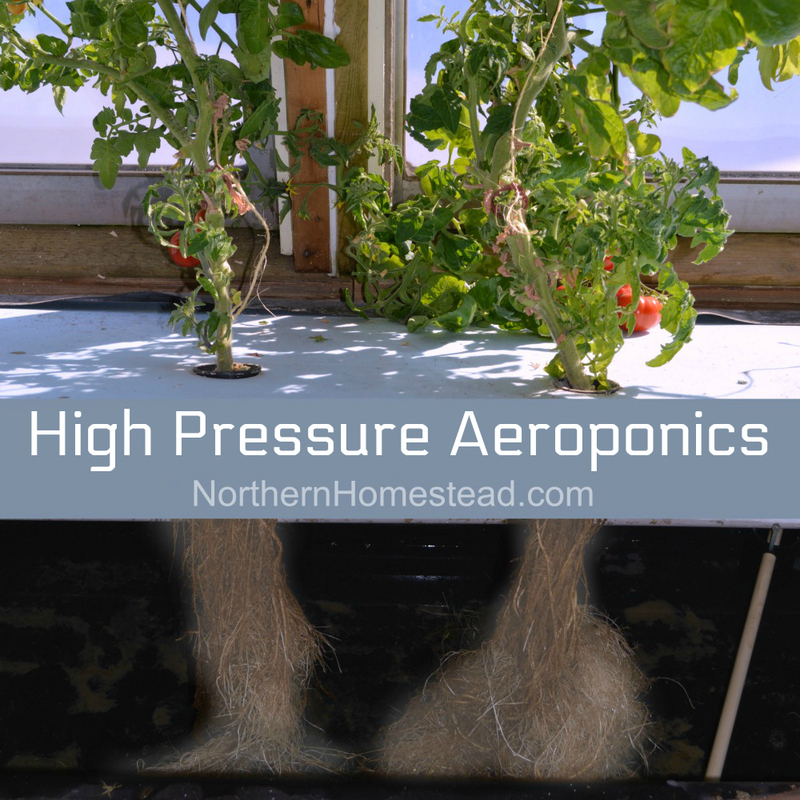 We hope we could encourage you to grow food right in your house, basement or garage. 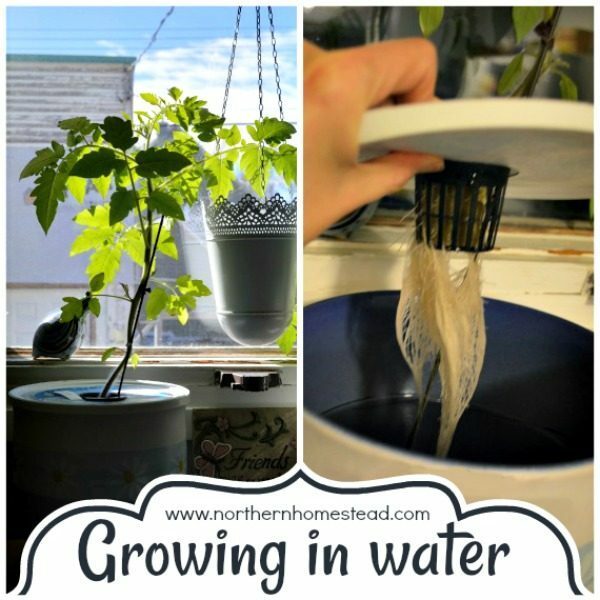 We would love to hear what you are growing. My elderly neighbor called and said “Are you okay? I haven’t seen you!” I replied “It’s winter! 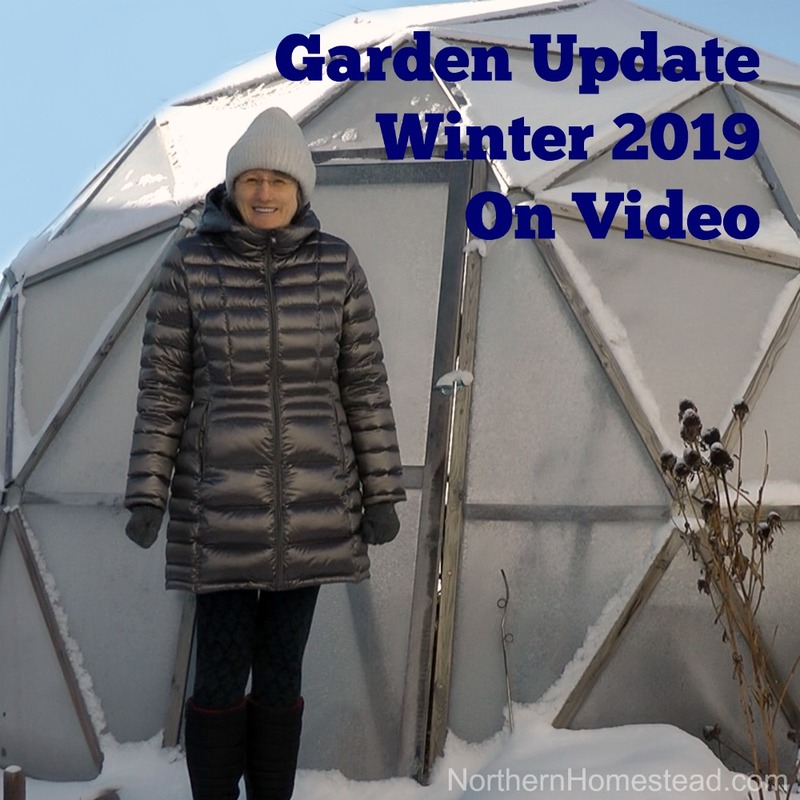 I don’t garden in the winter!” It’s time for this old gal to rest, bake cookies and cuddle with books! Funny, this happened to us last spring. 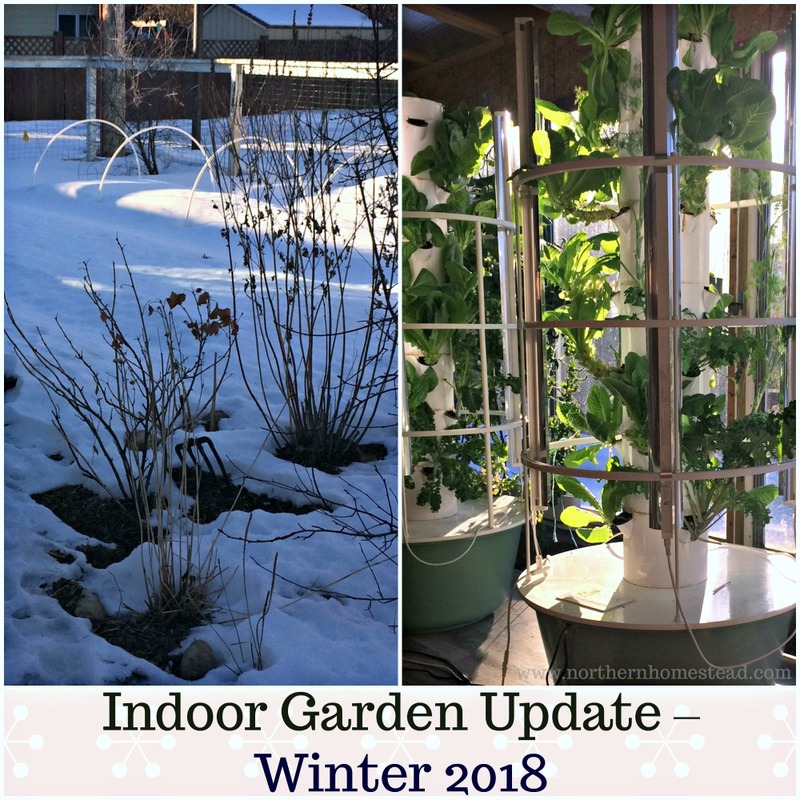 Even though we do garden in the winter, just not outdoors. Enjoy your winter rest! 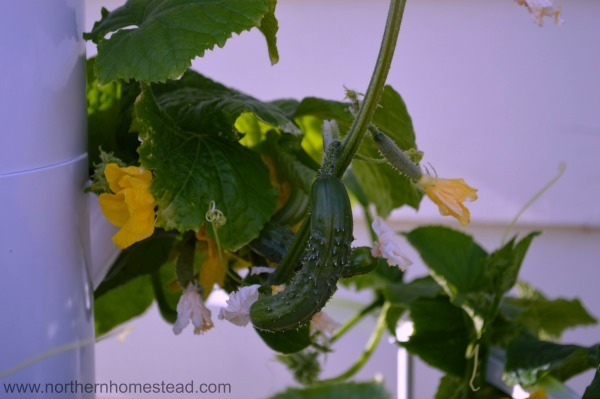 I hand pollinate cukes and squash in the garden outside anyway. I get more fruit that way. It’s so easy! This is something I need to look into more. Glad to hear it is easy to do.